Hello, I am currently pursuing Bachelors in Dental surgery from India. I plan to learn the german language this year and gain work experience of 2 years before applying for an mba in germany in pharmaceuticals or healthcare maangement. Please suggest the best universities in terms of fees and job placements post my mba. Outside India and Pakistan the MBA is normally a degree in business administration. In Europe, a degree in functional areas will tend to be an MSc. What are your goals? If you want to work in Germany, you may find it better to take an MSc taught in German in order to build fluency, functional vocabulary and experience of working with Germans. Try the daad.de website. The best MBA programs - i.e. the ones ranked in the FT - generally recruit candidates with around 6 years of work experience. 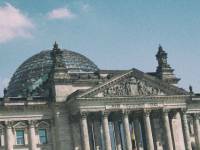 Are you interested in working in Germany after you graduate? If so I would start learning German now and focus on it for a couple of years, then apply for a strong MBA, or like Duncan suggests, a German-language program. But without knowing more about your goals it's hard to say. I have been waitlisted at "a very good position" at Pforzheim for the winter 2018 intake. I have 4.25 years of experience and a 630 on my GMAT. What are my chances of converting a seat?